A Friday night dinner with dear friends. We fed our kids and theirs early and sent them upstairs to play board games. An adult evening – Ah. Lee put on music, I lit candles and our friends uncorked a bottle of wine. The wine was passed and stories were shared. Candle wax dripped onto the table. Nora Jones crooned and forks were set down between succulent bites. Cabernet was flowing into my glass when the call came from upstairs. “Mom! We need help!” I sipped my wine and chose not to answer. Then the call came again. “What is it?” I called back. I lifted my glass to my lips and started to sip when I noticed the silence. Looking up, I found my husband and dinner guests staring back at me. “What?” I asked. 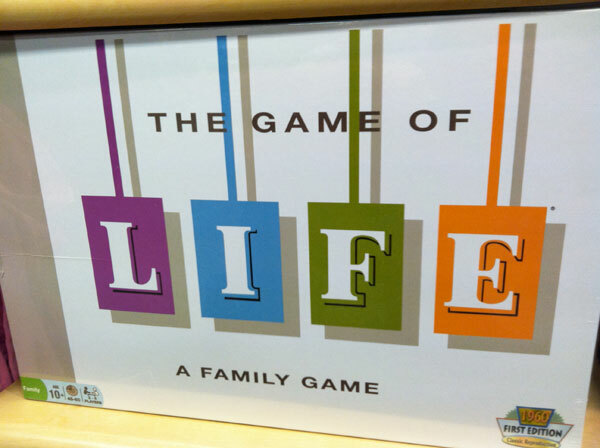 “The Game of Life is too confusing?” my husband repeated. Then I heard what I’d said. I pushed my chair back from the table and thought, If only I knew how. http://kaseymathews.com/wp-content/uploads/2019/02/Kasey-mathewsNewLogo2019.jpg 0 0 Kasey Mathews http://kaseymathews.com/wp-content/uploads/2019/02/Kasey-mathewsNewLogo2019.jpg Kasey Mathews2011-08-01 10:13:592016-08-31 10:17:42The Game of What?